Internet marketing success must include an affordable search engine marketing solution. By now, you have most likely heard and even used the term SEO. SEO is an acronym for an affordable Search Engine Optimization. However, hearing it or using it doesn't necessarily mean you understand it as well as you should. I will do my best to help you not only understand what SEO is, but what it means to you. Hopefully after this read, you will have an easier time seeking out an affordable search engine optimization plan for your business. Search engine optimization is just one of many components in an overall, successful Internet marketing plan. The vision is this... your business spends a significant amount of money on creating and developing a strong website. This website represents your brand, your product and your services well and includes just about everything there is to know about why you are the best at what you do. SEO was (about 5 years ago) normally the next step you would take after you completed your new site and went live. After all, what value would you place on a fantastic, well designed, well formatted, interactive website if nobody could ever find it? Obviously very little value at all, other than using it like you would a business card or brochure. An affordable search engine optimization strategy would then be applied to each and every page. This way, the major search engines like Google and Yahoo would be able to see you and then rank you for their users when a designated keyword or keyphrase was used. As is still the case, most major search engines use certain algorythms that look for and evaluate your website to determine if you meat the criteria they think is critical to the search engine user. It is important to understand that this element (affordable search engine optimization) of internet marketing is still critical for most websites because many of your prospective customers are probably still using search engines in their initial product/services research phase. Your products and services have their own sales cycle and no matter if it's short or long, search engines are most likely still a player at this stage. One way to put this information into a clearer light is to simply understand that each and every web page that is important and needs to be found by a target audience, must be "search engine friendly". As technical as it is on the back end, this is how simple it is from a layperson's perspective. Each one of your web pages need to have specific criteria (determined by Google & Yahoo) that the major search engines are looking for and using. It is simple, if your competitor meets more of this criteria than you, their page will rank higher than yours. Examples of an affordable search engine optimization and this criteria include but are CERTAINLY not limited to: Note - each one of these examples must be specific to the keyword or keyphase you are competing for. Internet marketing has become fiercely competitive for obvious reasons. Most businesses see how important it is to get found, convert and close sales online. This means much more competition every month and every year. That is why an affordable search engine optimization should be part of your internet marketing plan as a foundation of the bigger picture we call inbound marketing. To help you develop an affordable search engine optimization even further, we are providing you this no cost eBook or guide to detail even more of the important steps of SEO. Download your copy for free by clicking on the image to the left. Good luck and stay tuned here for more valuable inbound marketing guidance. 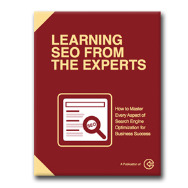 DOWNLOAD YOUR FREE SEO GUIDE BOOK HERE. Ebooks guides to other internet marketing solutions are also provided on our "Free Inbound Marketing Ebook" page.